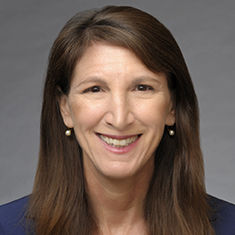 Laura Keidan Martin is the national head of the firm's Health Care practice and a member of the firm's Board of Directors and Executive Committee. She counsels health care industry participants including, health systems, national ancillary service providers and life sciences companies, helping them structure their contracts and transactions, sales/marketing practices and physician compensation arrangements to meet state and federal regulatory requirements. Laura regularly assists clients with government and internal investigations and advises on corporate integrity and deferred prosecution agreements. She also helps clients develop and update their compliance programs and policies, provides compliance education and conducts compliance program effectiveness reviews. Laura serves as lead counsel on complex transactions, often involving multiple parties and creative deal structures. Her broad-based antitrust practice includes antitrust compliance advice and representation through pre-merger reviews and investigations conducted by the Federal Trade Commission and Department of Justice. Laura is past president of the Illinois Association of Health Attorneys. Her recognitions include Chambers USA: America's Leading Lawyers for Business for both health care and antitrust, Best Lawyers Lawyer of the Year 2012 for Chicago Health Care Law, and Leading Lawyers Network's "Top 10 Leading Women Lawyers in Illinois." Shown below is a selection of Laura Keidan’s engagements.